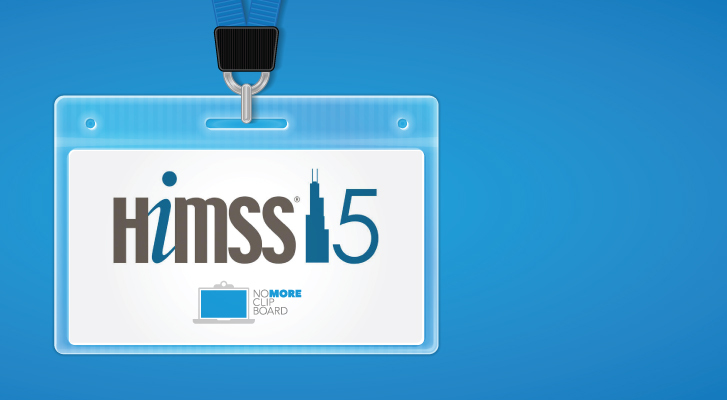 CHICAGO — March 9, 2015 — With HIMSS15 almost one month away, NoMoreClipboard is pleased to announce four of its customers and partners have been selected to share their patient engagement experiences at HIMSS15. Each session will include insights from the deployment of personal health records and patient portals. Presenters will address policy and technical challenges, creative solutions and implementation best practices. Be sure to mark your calendars now to attend these HIMSS15 presentations, and please make a note to stop by the NoMoreClipboard exhibit #2879 to experience patient engagement from the show floor. These presenters are also available for one-on-one telephone interviews leading up to the show, or for in-person interviews at HIMSS15. To schedule an interview, please contact Rachel Kuna at rachel@impressionspr.com or call 773-610-8454. Polly Mullins-Bentley — Acting Executive Director of Health IT, State of Kentucky April 14 / 10:00-11:00 am / S406 Widely lauded as one of the few states to successfully implement a new health insurance exchange, a representative from the Kentucky Governor’s office will share their approach to deploying a statewide patient portal connected to KHIE — the HIE for the Commonwealth of Kentucky. Kentucky’s experience underscores the need for personal interaction with patients to encourage portal enrollment and use. April 14 / 1:00-2:00 pm / S404 This session will explore the benefits and challenges associated with creating a statewide, HIE-sponsored patient portal that satisfies meaningful use patient engagement requirements, delivers value to patients and providers alike, and can be deployed and sustained within tight budget constraints. April 15 / 1:00-2:00 pm / S100A Join Dr. Jeffrey Hatcher for a physician’s perspective on alleviating the fears associated with electronic patient engagement. Dr. Hatcher will recount his experience implementing a multi-facility, community-wide patient portal, and share strategies for preparing physicians for success. Practical advice and lessons learned will also include adjusting to a new approach to clinician/consumer communication. April 15 / 2:30–3:30 pm / S105 Speakers will discuss a unique crowdsourcing approach to rapidly develop policies for PHR vendor inclusion in a multi-state trust community, followed by pilots designed to use Direct for provider to patient data exchange. Pilot learning is now being applied to expand the Blue Button Plus trust community to facilitate consumer access to health data. NoMoreClipboard is a leader in electronic patient engagement, connecting consumers and clinicians to improve communication and foster collaboration. NoMoreClipboard gives consumers portable, interoperable personal health records to access, manage and share health information. Provider solutions include branded patient portals designed to integrate with clinical workflow, enhance efficiency and contribute to improved patient outcomes. Visit www.NoMoreClipboard.com for more information. --- tags: HIMSS15, Patient Engagement, PHR, Patient Portal PLEASE SHARE!